Around 2,200 Palestinians were killed during last year's 50-day conflict with Israel, with 73 killed on the Israeli side. The Jewish state went to war against Hamas to stamp out cross-border rocket and mortar fire. A March report by Amnesty found that rockets fired during the war by Gaza terrorists killed more Palestinians than Israelis. According to the new Amnesty report, "Hamas forces also abducted, tortured or attacked members and supporters of Fatah, their main rival political organization within Gaza, including former members of the Palestinian Authority security forces". "Not a single person has been held accountable for the crimes committed by Hamas forces against Palestinians during the 2014 conflict, indicating that these crimes were either ordered or condoned by the authorities," it said. The Palestinians are preparing to sue Israeli officials through the International Criminal Court for alleged war crimes committed during last year's Gaza conflict. The IDF has opened investigations into deadly incidents that took place during the war. Israeli forces committed war crimes and human rights violations during a 50-day military offensive in the Gaza Strip that killed over 1,500 civilians, including 539 children, wounded thousands more civilians, and caused massive civilian displacement and destruction of property and vital services. Israel maintained its air, sea and land blockade of Gaza, imposing collective punishment on its approximately 1.8 million inhabitants and stoking the humanitarian crisis. In the West Bank, Israeli forces carried out unlawful killings of Palestinian protesters, including children, and maintained an array of oppressive restrictions on Palestinians’ freedom of movement while continuing to promote illegal settlements and allow Israeli settlers to attack Palestinians and destroy their property with near total impunity. Israeli forces detained thousands of Palestinians, some of whom reported being tortured, and held around 500 administrative detainees without trial. Within Israel, the authorities continued to demolish homes of Palestinian Bedouin in “unrecognized villages” in the Negev/Naqab region and commit forcible evictions. They also detained and summarily expelled thousands of foreign migrants, including asylum-seekers, and imprisoned Israeli conscientious objectors. Tensions between Israelis and Palestinians mounted rapidly amid the collapse of US-sponsored negotiations in April, a Fatah-Hamas reconciliation agreement, and Israel’s continuing illegal settlement expansion in the West Bank and blockade of Gaza. The tensions flared into renewed armed conflict in July following the killing of at least 15 Palestinians by Israeli forces since the beginning of the year, the abduction and killing of three Israeli teenagers in the West Bank by Palestinian men affiliated to Hamas, the reprisal killing of a Palestinian youth by Israelis, and rocket-firing from Gaza into Israel. The Israeli military launched an offensive, Operation Protective Edge, on 8 July against the Gaza Strip while Hamas and other Palestinian armed groups increased rocket firing into southern Israel. After 10 days of air strikes, Israel launched a ground invasion in Gaza, withdrawing shortly before a US and Egypt-brokered ceasefire took effect after 50 days of hostilities. The ceasefire brought an end to open conflict but tension remained acute, particularly in the West Bank. Community relations were inflamed by a series of attacks by Palestinians targeting Israeli civilians, including one on worshippers in a synagogue; new killings of Palestinians, including protesters, by Israeli forces; the government’s announcement of new land expropriations and plans to build additional housing units for settlers in East Jerusalem; and the Israeli authorities’ decision in November to temporarily close access to Jerusalem’s Temple Mount, preventing worshippers from reaching the Al-Aqsa mosque, one of Islam’s holiest sites. Growing international recognition of Palestine as a state also contributed to tensions. In December , Prime Minister Netanyahu dismissed two ministers for reasons including disagreements on a proposed “Nation-State Bill” defining Israel as a state for the Jewish people. The Knesset voted for dissolution and the holding of new elections in March 2015, upon the Prime Minister’s initiative. Israel’s Protective Edge military offensive, which Israel said it launched in response to an upsurge in rocket firing into Israel by Palestinian armed groups in Gaza, killed more than 2,000 inhabitants of Gaza, including more than 1,500 civilians, among them some 539 children. Israeli air and ground attacks damaged or destroyed thousands of civilian homes and internally displaced around 110,000 Palestinians, as well as severing power generation and water supplies, and damaging other civil infrastructure. In Israel, indiscriminate rockets and other weapons fired by Palestinian armed groups from Gaza in breach of the laws of war killed six civilians, including one child, injured dozens and damaged civilian property. During the 50 days of conflict before a ceasefire took effect on 26 August, Israeli forces committed war crimes, including disproportionate and indiscriminate attacks on Gaza’s densely populated civilian areas as well as targeted attacks on schools sheltering civilians and other civilian buildings that the Israeli forces claimed were used by Hamas as command centres or to store or fire rockets. On the night of 30 July, Israeli artillery fire hit the Jabaliya elementary school where more than 3,000 civilians had taken refuge, killing at least 20 and injuring others. It was the sixth time a school being used by the UN to shelter civilians had been attacked since the conflict began three weeks earlier. Israeli forces also attacked hospitals and medical workers, including ambulance staff seeking to assist the wounded or retrieve the bodies of those killed. Dozens of homes were destroyed or damaged by missiles or aerial bombs with families still inside. For example, in eight cases documented by Amnesty International, Israeli strikes on inhabited houses killed at least 104 civilians, including 62 children. Often the Israeli military gave no reason for specific attacks. In the days immediately leading up to the ceasefire, Israeli forces launched attacks that destroyed three multistorey residential buildings in Gaza City and a modern commercial centre in Rafah, amid vague assertions that the residential buildings housed a Hamas command centre and “facilities linked to Palestinian militants” but without providing any compelling evidence or explanation why, if there were legitimate military reasons to justify the attacks, less destructive means were not selected. Israeli authorities sought publicly to shift the blame for the large loss of life and wholesale destruction caused by the Israeli offensive in Gaza onto Hamas and Palestinian armed groups on the grounds that they fired rockets and other weapons from within or near civilian residential areas and concealed munitions in civilian buildings. Israeli forces maintained their land, sea and air blockade of Gaza throughout the year, effectively imposing collective punishment on the territory’s approximately 1.8 million, predominantly civilian, inhabitants, with all imports and exports, and any movements of people into or out of Gaza, subject to Israeli approval; Egypt’s continued closure of its Rafah border crossing kept Gaza effectively sealed. The already severe humanitarian consequences of the blockade, in force continuously since June 2007, were evidenced by the sizeable proportion of Gaza’s population that depended on international humanitarian aid for their survival, and were greatly exacerbated by the devastation and population displacement caused during Israel’s Operation Protective Edge. Israeli forces policed the blockade using live fire against Palestinians who entered or approached a 500m-wide buffer zone that they imposed inside Gaza’s land border with Israel, and against fishermen who entered or approached the “exclusion zone” that Israel maintains along the full length of Gaza’s coast. Israeli forces shot dead seven Palestinian civilians in or near the buffer zone before Operation Protective Edge, and another after the ceasefire, when the buffer zone was to be reduced and the permitted fishing zone extended. Shooting incidents remained frequent; some fishermen were also shot and wounded by Israeli navy forces. In the West Bank, Israel continued its construction of the wall/fence with attached guard towers, mostly on Palestinian land, routing it to afford protection to illegal settlements while cutting off Palestinian villagers from their lands. Palestinian farmers were required to obtain special permits to access their lands between the wall and the Green Line demarcating the West Bank’s border with Israel. Throughout the West Bank, Israeli forces maintained other restrictions on the free movement of Palestinians by using military checkpoints and restricting access to certain areas by preventing Palestinians using bypass roads constructed for the use of Israeli settlers. These restrictions hindered Palestinians’ access to hospitals, schools and workplaces. Furthermore, Israel forcibly transferred Palestinians out of occupied East Jerusalem to other areas in the West Bank. Restrictions were tightened further during Operation Brother’s Keeper, the Israeli authorities’ crackdown following the abduction of three Israeli teenage hitchhikers in the West Bank in June. Operation Brother’s Keeper saw a heightened Israeli military presence in Palestinian towns and villages, the killing of at least five Palestinians, mass arrests and detentions, the imposition of arbitrary travel restrictions and raids on Palestinian homes. Israeli soldiers and border guards unlawfully killed at least 50 Palestinian civilians in the West Bank and continued to use excessive force, including live fire, during protests against Israel’s continued military occupation, when arresting political activists and during Israel’s 50-day military offensive against Gaza. Some killings may have amounted to extrajudicial executions. In September, the UN Office for the Coordination of Humanitarian Affairs reported that the number of Palestinians wounded by Israeli forces in the West Bank – more than 4,200 since the start of 2014 – already exceeded the 2013 total, and that many of those wounded, including children, had been hit by rubber-coated metal bullets fired by Israeli forces. As in previous years, soldiers and border guards used live fire against protesters, including those who threw stones and other projectiles, who posed no serious threat to their lives. The authorities failed to conduct independent investigations into alleged war crimes and human rights violations committed by Israeli forces during Operation Protective Edge and refused to co-operate with an international investigation appointed by the UN Human Rights Council. However, they apparently co-operated with the UN Secretary-General’s Board of Inquiry, established to look into incidents relating to UN buildings in Gaza. In August, the military’s Chief of General Staff ordered an inquiry into more than 90 “exceptional incidents” during Operation Protective Edge where there was “reasonable ground for suspicion of a violation of the law”. In September, it was announced that the Military Advocate General had closed investigations into nine cases and ordered criminal investigations into 10 others. Authorities also failed to carry out adequate investigations into shootings of Palestinians during protests in the West Bank despite compelling evidence that Israeli forces repeatedly used excessive force and resorted to live fire in circumstances where such lethal means were unwarranted. Hundreds of Palestinians from the Occupied Palestinian Territories were held without charge or trial under administrative detention orders issued against them on the basis of secret information to which they and their lawyers had no access, and were unable to effectively challenge. The number of administrative detainees more than doubled following the security forces’ round-up of Palestinians after the abduction and killing of three Israeli teenagers in June, rising from nearly 200 in May to 468 in September. Palestinian detainees continued to be tortured and otherwise ill-treated by Israeli security officials, particularly Internal Security Agency officials, who frequently held detainees incommunicado during interrogation for days and sometimes weeks. Methods used included physical assault such as slapping and throttling, prolonged shackling and stress positions, sleep deprivation, and threats against the detainee and their family. Reports of torture increased amid the wave of arrests that followed the abduction of Israeli teenagers in June. The authorities failed to take adequate steps either to prevent torture or to conduct independent investigations when detainees alleged torture, fuelling a climate of impunity. In the West Bank, Israeli forces continued to demolish Palestinian homes and other structures, forcibly evicting hundreds from their homes often without warning or prior consultation. Families of Palestinians who had carried out attacks on Israelis also faced demolition of their homes as a punitive measure. Palestinian Bedouin citizens of Israel living in “unrecognized” and newly recognized villages also faced destruction of homes and structures because the authorities said that they had been built without permission. Israeli authorities prohibited all construction without official permits, which were denied to Arab inhabitants of the villages, while also denying them access to basic services such as electricity and piped water supplies. Under the 2011 Prawer Plan, the authorities proposed to demolish 35 “unrecognized” villages and forcibly displace up to 70,000 Bedouin inhabitants from their current lands and homes, and relocate them to officially designated sites. Implementation of the plan, which was adopted without consultation with the affected Bedouin communities, remained stalled following the resignation in December 2013 of the government minister overseeing it. Official statements announced its cancellation, but the army continued to demolish homes and other structures. Military tribunals continued to impose prison sentences on Israeli citizens who refused to undertake compulsory military service on grounds of conscience. At least six conscientious objectors were imprisoned during the year. Omar Sa’ad was released in June after serving 150 days in a military prison and then declared unsuitable and exempted from military service. Asylum-seekers in need of international protection were denied access to a fair determination process. Authorities held more than 2,000 African asylum-seekers in indefinite detention in a facility in the Negev/Naqab desert. The authorities held more than 2,200 Eritrean and Sudanese asylum-seekers at Holot, a desert detention facility opened after the government rushed through Amendment 4 of the Prevention of Infiltration Law in 2013. In September, the High Court of Justice struck down Amendment 4, under which the authorities had taken powers to automatically detain all newly arrived asylum-seekers for one year, ruling that it infringed the right to human dignity. The Court ordered the government to close the Holot facility or establish an alternative legislative arrangement within 90 days. In December, the Knesset passed new amendments to the law that would allow the authorities to continue automatic detention of asylum-seekers. Eritrean and Sudanese nationals, who made up more than 90% of an estimated 47,000 African asylum-seekers in Israel, continued in practice to be denied access to fair refugee determination procedures. By the end of the year, Israeli authorities had extended refugee status to just two Eritreans and no Sudanese, dismissing many other claims without due consideration. Asylum-seekers were prohibited by law from taking paid work and had little or no access to health care and welfare services. Meanwhile, the authorities pressured many to leave Israel “voluntarily” under a process that paid them to withdraw their asylum claims and return to their home countries or travel to third countries. More than 5,000 Eritrean and Sudanese nationals were reported to have accepted “voluntary return” in the first 10 months of the year, some leaving after facing imminent risk of detention, despite fears that they faced persecution or torture in the countries from which they had fled. Some were reported to have been detained when they returned to Sudan and accused of spying for Israel. Israel allegedly maintained secret agreements with certain African countries allowing for the transfer of asylum-seekers under conditions which denied them access to a fair refugee determination process in Israel or any protection from possible subsequent transfers to their home countries, including in cases where such returns amounted to refoulement. Authorities in the West Bank and Gaza restricted freedoms of expression and peaceful assembly, carried out arbitrary arrests and detentions, and tortured and otherwise ill-treated detainees with impunity. Women and girls faced discrimination in law and practice, and were inadequately protected against gender-based violence. The death penalty remained in force; there were no executions in the West Bank, but the Hamas authorities in Gaza, who continued to try civilians before unfair military courts, carried out at least two executions. Hamas forces in Gaza carried out at least 22 extrajudicial executions of people they accused of “collaborating” with Israel. Israel’s Protective Edge military offensive killed more than 1,500 civilians in Gaza, wounded thousands more, and caused huge devastation, exacerbating the hardship felt by Gaza’s 1.8 million inhabitants due to Israel’s continuing military blockade of the territory. During the 50-day conflict, Hamas and Palestinian armed groups fired thousands of indiscriminate rockets and mortar rounds into civilian areas of Israel, killing six civilians, including one child. US-convened negotiations, which began in 2013 and aimed to resolve the decades-long Israeli-Palestinian conflict, concluded at the end of April without reaching any agreement. The same month, Fatah, the ruling party of the Palestinian Authority, which administers the West Bank, and Hamas, the de facto administration in Gaza since 2007, announced a unity agreement. In June, Fatah, Hamas and other Palestinian factions agreed to a national reconciliation government of independent technocrats to run civilian affairs in both areas until parliamentary and presidential elections take place. No date for elections had been set by the end of the year. There was growing international recognition of Palestinian statehood, despite opposition from Israel and the USA. In October, Sweden became the first EU member state to recognize the State of Palestine (although three other European states did so before joining the EU), and the UK’s House of Commons and France’s National Assembly both passed non-binding votes in favour of recognition. In December, Jordan submitted a resolution to the UN Security Council that proposed setting a timetable for a negotiated settlement that would require Israel to end its occupation of Palestinian territories by the end of 2017. In April, Palestine ratified the four Geneva Conventions and an array of international human rights and other treaties, including the ICCPR, ICESCR, CEDAW, the Convention on the Rights of the Child and its Optional Protocol on the involvement of children in armed conflict, and the UN Convention against Torture. On 31 December President Mahmoud Abbas signed 16 other international treaties as well as the Rome Statute recognizing the jurisdiction of the International Criminal Court in the Occupied Palestinian Territories including East Jerusalem from 13 June 2014. Tensions were heightened by Israel’s killing of at least 15 Palestinians by the end of June, the abduction and murder of three Israeli teenagers by Palestinians near Hebron and the revenge killing of a Palestinian youth by Israelis. The tensions spiralled into renewed armed conflict in July when Israel launched its Protective Edge military offensive, comprising aerial attacks and a ground invasion of Gaza. The offensive lasted for 50 days before the two sides agreed a ceasefire facilitated by the US and Egyptian governments. The offensive caused the deaths of more than 1,500 civilians in Gaza, including over 500 children, and the wounding of thousands more. It wrought huge devastation, damaging and destroying schools, hospitals, homes and other civilian infrastructure. Gaza remained under Israeli military blockade throughout the year. Hamas and Palestinian armed groups in Gaza repeatedly fired indiscriminate rockets and mortars into Israel. Firing greatly intensified in the period preceding and throughout Israel’s Protective Edge military offensive in Gaza. By the time of the August ceasefire that ended the conflict, firing of indiscriminate weapons from Gaza by Palestinian armed groups had killed six civilians in Israel, including a child aged four, wounded other civilians and damaged a number of civilian homes. The firing also led directly to civilian deaths in Gaza, due to the premature explosion of some rockets; the killing of 10 Palestinian civilians including nine children in the al-Shati’ refugee camp on 28 July was believed to have been caused by a rocket that fell short of its target. Palestinian armed groups also exposed civilians in Gaza to lethal harm from Israeli attacks by concealing and firing rockets and other projectiles from locations within or close to civilian residential areas. Firing was mostly halted after the ceasefire agreement. Security authorities in both the West Bank and Gaza arbitrarily arrested and detained their critics and supporters of rival political organizations. Detainees were tortured and otherwise ill-treated with impunity. The Independent Commission for Human Rights (ICHR), a national body established to monitor human rights and receive complaints, said it received over 120 allegations of torture and other ill-treatment of detainees from the West Bank and over 4 40 allegations from Gaza during the year. Methods of torture included beatings and forcing detainees to stand or sit in stress positions (shabah) for long periods. In the West Bank, detainees alleged that they were tortured or otherwise ill-treated by police, Preventive Security, military intelligence and General Intelligence officials. In Gaza, at least three men died in custody allegedly from torture by Internal Security officials. Both authorities failed to protect detainees from torture and other ill-treatment, investigate allegations or hold those responsible to account. 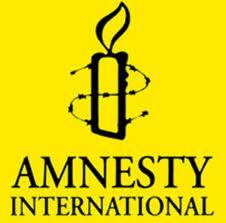 Political and judicial authorities failed to ensure that detainees received prompt and fair trials. 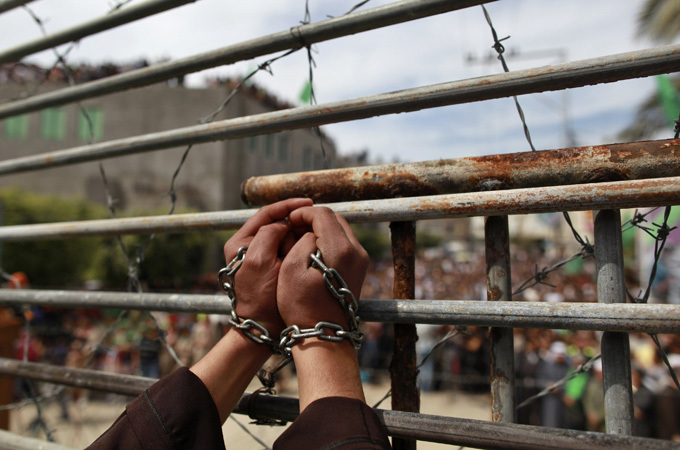 Authorities in the West Bank held detainees for indefinite periods without charge or trial. In Gaza, the Hamas authorities continued to subject civilians to unfair trials before military courts. Authorities restricted freedoms of expression, association and assembly in the West Bank and Gaza. Security forces dispersed protests organized by opposition activists, frequently using excessive force. On many occasions, journalists reporting on protests complained that security forces assaulted them or damaged their equipment. Security officials also harassed and sought to intimidate journalists and social media activists, including by repeatedly summoning them for questioning and sometimes detaining them for their writings. In March, police in the Gazan city of Khan Yunis used force to break up a commemorative event organized by Fatah supporters, reportedly firing in the air to disperse the gathering and arresting and briefly detaining many participants. In the West Bank, security forces assaulted journalists from Palestinian broadcaster Wattan TV who were present to report on demonstrations. In one incident in October, security forces attacked a Wattan TV crew covering a demonstration in Hebron and seized their equipment. During the Israeli offensive Protective Edge, members of Hamas’ military Izz ad-Din al-Qassam Brigades and the Internal Security Force committed at least 22 summary and extrajudicial executions of people whom they accused of “collaboration” with Israel. Those killed included a number of prisoners who were appealing against sentences of death or prison terms passed by military courts in Gaza; others were detainees who had faced no formal charges or trial. On 5 August the de facto Ministry of Interior removed five inmates of Katiba Prison who were extrajudicially executed outside the prison. 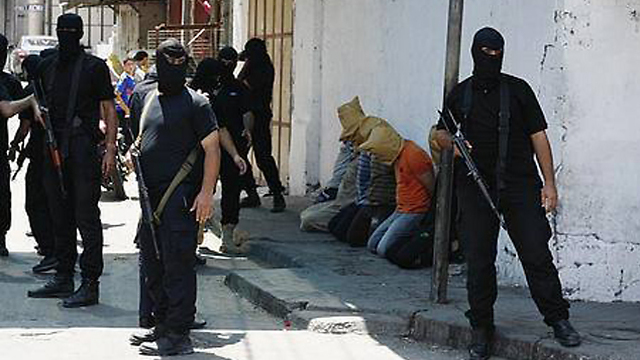 On 22 August Hamas forces removed 11 prisoners from Katiba Prison whose trials or appeals were pending, and extrajudicially executed them at the al-Jawazat Police Station. Later the same morning six men arrested during Operation Protective Edge were shot dead in public after Friday prayers. Izz ad-Din al-Qassam Brigades reportedly shot other suspected "collaborators" in the street during Operation Protective Edge. Palestinian authorities failed to take any steps to investigate alleged war crimes and possible crimes against humanity committed by Hamas’ military wing and other Palestinian armed groups in the run-up to and during the conflict in July and August or during previous conflicts with Israel in which Palestinian armed groups fired indiscriminate rockets and mortars into Israel. They also failed to hold to account officials who committed human rights violations, including excessive use of force against peaceful protesters and the torture of detainees. Women and girls continued to face discrimination in both law and practice, and remained inadequately protected against gender-based violence committed by male relatives, ostensibly for reasons of family “honour”. At least 11 women and girls were murdered by male relatives in so-called “honour killings” during the year, according to reports of the ICHR. They included Islam Mohammad Al-Shami, 18, who died after she was stabbed in the neck on 20 October while praying inside her family home at Bani Suheila, Khan Yunis governorate. The death penalty remained in force for murder and other crimes. There were no executions reported in the West Bank, but in Gaza, Hamas military and first instance courts sentenced at least eight people to death on murder charges. In May, Gaza authorities executed two men, both of whom had been sentenced to death on treason and murder charges. Israeli forces use extreme and brutal methods to force confessions out of Palestinian detainees for "crimes against Israel" such as stone-throwing. The head of the Palestinian Authority prisoners' affairs committee, Issa Qarage, met with former detainee Noor Muhammad Hilmi Hamamrah, age 15, while visiting prisoners' families in the northern West Bank village of Qusin in the Nablus district. Hamamrah explained to Qarage that while he was detained in Israel's Etzion detention center, interrogators forced his mouth open and began to pry his braces off of his teeth. The interrogator threatened to rip out all of Hamamrah's teeth if he did not confess to throwing stones at Israeli cars. This is not the first or last of the countless accounts of disturbing and violent treatment of Palestinian detainees in Israeli detention centers. A UN report from 2013 says that the abuse of Palestinians held in Israeli prisons is "widespread, systematic and institutionalized." The report also said that there was evidence of "cruel, inhuman and degrading treatment or punishment" in prisons. Information gathered from Ma'an and the UN report on Palestinian prisoners.